Showcase the luxurious details of your shower with Portella’s steel and glass shower doors. Built with exceptionally durable components like slender steel frames and transparent glass panels, our shower doors are the perfect element to enhance any bathroom. 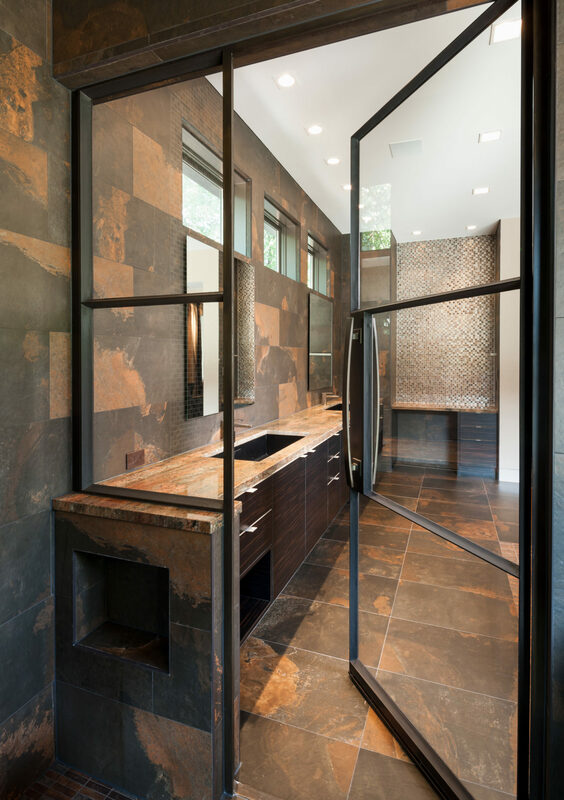 Seamless, Cardinal Clear or Stain Etch panels inspire a dramatic visual impact for even the smallest of bathrooms and accentuate the exquisite design features of large master bath suites. Breathe in comfort knowing your steel framed shower doors are crafted with the highest quality stainless steel to eliminate the possibility of rust. The simplistic composition will conform to any bathrooms interior design style including modern, contemporary, and classic. Immerse yourself in a rich enclosure of custom-built glass and steel and perfect your bathroom’s aesthetic by creating an airy expansive feel with Portella. Achieve authenticity with true divided lites of glass instead of commonly used simulation. Black steel shower doors are a popular choice but we provide several paint options to match your interior design including painted pewter, gun metal, chestnut, dark bronze, black or custom finishes. Attractive and functional, shower doors are custom-built with the option of wet glazed Cardinal Clear or Stain Etch 1/4″ tempered glass. Multi-point locking systems and thermally-bonded zinc galvanizing coating ensure your shower or sauna will be free from moisture penetration and corrosion. 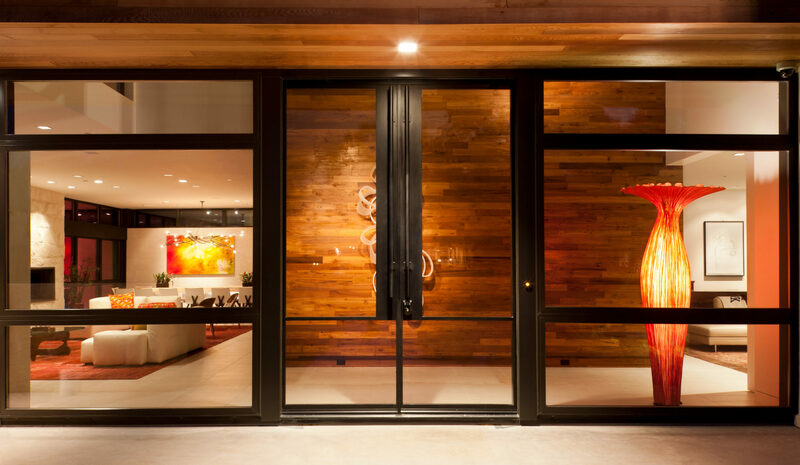 We also create custom steel doors and glass walls for wine cellars and other temperature controlled rooms. Portella crafts with the highest quality and a minimalist approach, and the flexibility of custom built projects gives us the freedom to give you the ultimate finished product that fits your needs. All Portella products are custom made to your exact specifications. Contact us today to be connected to your personal Project Manager who will assist you in the process of seeing your steel glass shower door come to life. We’ll need overall sizes and details of what you’re looking for and your location to determine which product will work best in your climate and meet your state’s regulations. Click here for details.